The Construction Lien Act (now named the Construction Act) has undergone significant revisions as of July 1, 2018. Of note, section 31(3) of the Construction Act (the “Act”) now provides that typically a “sub-contractor” lien will expire unless it is preserved within 60 days from the “last supply of materials and services.” The 60 day lien period for a sub-contractor is usually not extended where the materials and services relate to repairs or deficiencies. Generally, work to correct deficiencies, that is minor or trivial or to clean up a job site will not be sufficient to extend the time for registering a claim under the Act. The lien claimant will typically be required to demonstrate that the “last materials and supplies” provided were “work required pursuant to the contract, either within the contract’s original scope or as a required extra,” which does not include rectifying work already completed. Furthermore, a court will not accept work as a “last supply of materials and services” where an attempt is made to “bootstrap” an expired lien right. Here, the court will examine the lien claimant’s motivation for any delay in completing the work. The court will not accept work as a “last supply of material and services” where the work completed relates solely to the lien claimant attempting to continue its lien rights. If the work, however, qualifies as work required to be completed under the contract (above), the fact that the lien claimant is motivated in reviving an expired lien will not be sufficient to discharge the lien. The time for registering the lien will also not be revived where the work completed was trivial. On this point, the court will consider the value of the work completed in relation to the total value of the contract. A lien claimant must bring forward clear evidence that work has been provided within 60 days of the lien being registered if timeliness becomes an issue. For example, an employee can provide an affidavit as to the scope of services provided and the time in which it was provided, or a timesheet, accompanied by proof of its reliability, could be submitted. Sub-contractors, therefore, must ensure that they take timely steps to ensure that their lien rights do not expire. The above information is provided as a source of general information only and should not be used to replace the advice of a lawyer. 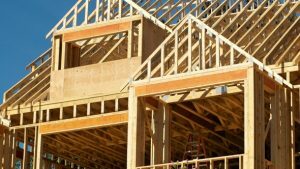 If you are involved in a construction dispute, it would be prudent to seek the advice of a construction lawyer to properly advise you of your rights under the Construction Lien Act. Michael Gunsolus is an associate with Ayotte Dupuis O’Neill and has represented contractors, sub-contractors and owners involved in construction disputes.